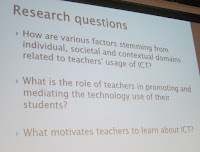 Next in the doctoral session at the European Conference on Information Literacy 2015 was Doctoral Research on Teachers as Technology Users: Summary of a Work in Progress from Agnese Karaseva. She is doing a PhD by publication, so has published articles and is writing the connecting part of the thesis. 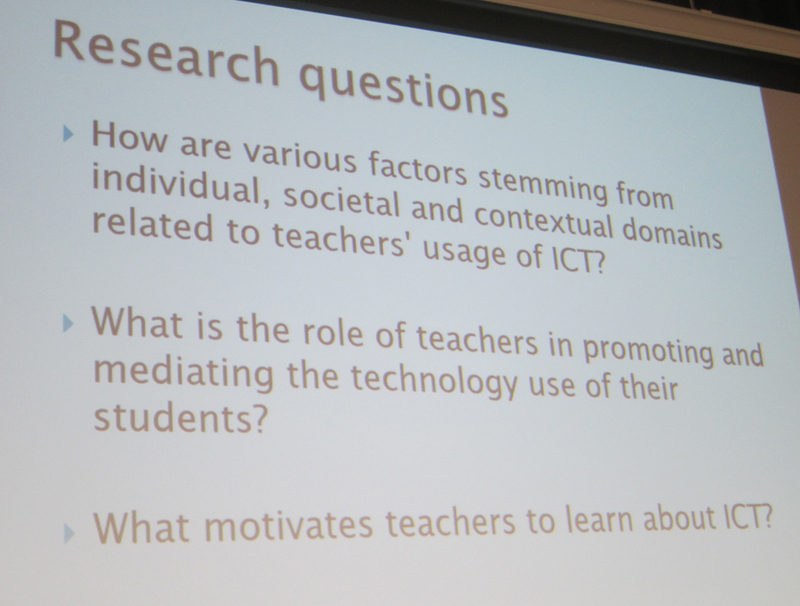 She is analysing how various aspects of different social domains are related to the ways in which teachers integrate technology into the practices. Thus the focus is on the factors behind the practice, rather than the practices themselves. She is using the theory of Derek Layder. The context is Latvia and Estonia, with her being able to compare the data she herself collected in Latvia with data collected by her supervisor in Estonia. The speaker noted the de-centralised school system, with teachers getting more training in technology than Latvian ones. 16 teachers in each country were interviewed; there were class observations in Estonia, and 10 of the Latvian teachers (who were all in the same school) were observed doing search tasks online. The latter showed that actual competence was not related to self-reported efficacy. She showed a table with the elements identified by Layder: in particular there were a number of factors under "Psychobiography" (e.g. teacher's belief about IT) and "Situated activity". Preliminary conclusions included the very strong influence of subject cultures, the need to have a holistic view of background factors to understand practice, the impact of students having to take exams, and also that "technology has not brought a revolution to the classroom".